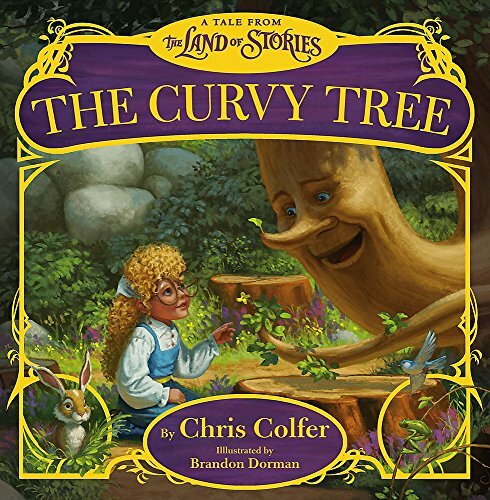 We love the Land of Stories series by Chris Colfer so much that we had to pick up this picture book, based on a legend from the novels, and experience it for ourselves! A lot of kids will be able to identify with the premise of this story. (Unfortunately!) A little girl winds up sobbing at the foot of a tree in the forest, feeling ostracized by her peers because of all the ways they make fun of her. Little does she know, this is a very special tree. It awakes from her crying and offers words of comfort. Then the curvy tree tells the story of how he came to stand so tall, almost alone in the forest. The book ends with an uplifting message about how feeling different is temporary; as they grow, life gets so much better for people who stand out. It's a sweet, hopeful story, best shared with early elementary age kids. The heart of the story, as well as the soft, sunny images, are comforting. Jun 4 Does Grandma Have a Mustache?